Are these your PlayStation Plus games for July? The selection of PlayStation Plus games offered to users as part of their subscriptions has been getting considerably weaker of late. The past three months have been middling games, with a highlight or two for fans of niche genres. On the whole, it doesn’t look like July’s games are going to rise to the high bar set by early plus offerings – but it seems there’s some fun to be had, especially for PS4 owners. According to a now-pulled – but saved for posterity by neoGAF – listing by Sony Asia, these are the games PlayStation owners in Asia will be able to download gratis next month. Why am I bothering posting this here, when we’re obviously not in Asia? The PlayStation 4 games have been identical in all regions since Sony started offering Ps4 games as part of the subscription. Next month, the two games for the PS4 are Towerfall Ascension, and Double Helix’s reboot of Strider. Both of them are rather good stuff. Towerfall is still some of the most multiplayer fun I’ve had, and if you have real life friends and a bunch of controllers you’re sure to get a kick out of its adversarial multiplayer. “If you remember when “multiplayer” meant friends and a multitap, Towerfall: Ascension will fill you with glee. 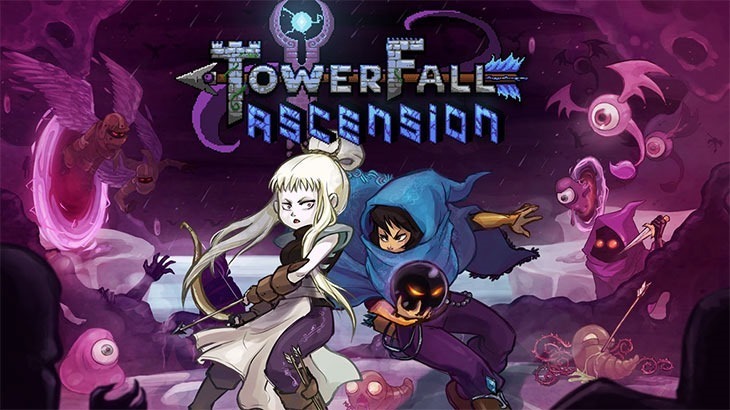 With its healthy dose of old-school adversarial local multiplayer, fans of games like Powerstone or Super Smash Bros should already have Towerfall: Ascension in their libraries,” I said back when I reviewed it. We didn’t review Strider, but I have played it – and it’s a pretty neat Metroidvania-esque reboot that shows the sort of thing that Double Helix is capable of, and well worth a play for fans of the series. 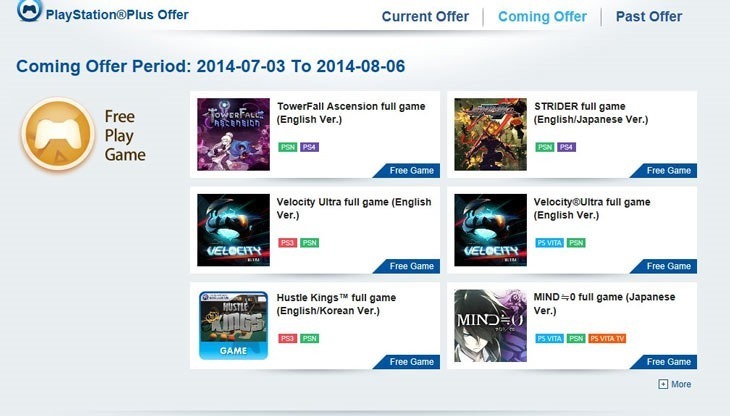 Asia’s Vita and PS3 offerings can be quite different to the ones we get here – and Velocity Ultra has already formed part of Europe’s instant game collection. It’s unlikely that it’ll be featured again. Hustle Kings is a pretty decent poll-hall simulator that features Vita crossplay. The chances of us getting Mind=0 are slim. Still, Strider and Towerfall are pretty good games – but still not that “AAA” stuff everybody expects by now. What do you think? Ignoring the legacy platforms, are you excited by what’s on offer for the PS4?